Spend a year immersed in research at the Harvard-Smithsonian Center for Astrophysics (CfA) in Boston, USA – the world’s largest centre for the study of our universe. On this unique programme you’ll choose an aspect of astronomy that interests you and investigate it through the analysis and interpretation of space data. With a highly respected astronomy training in Southampton and intensive research experience abroad, you’ll gain the skills and knowledge you need to become a professional astronomer or astrophysicist. If your career ambitions lie elsewhere, your time at Harvard will make your CV stand out to employers in any profession. We're ranked 6th in the UK for physics by the Guardian University Guide 2019. Our top five MPhys Physics with Astronomy students can choose to study abroad, spending their fourth year working on a research project at the CfA. We are the only UK university that partners with the Center in this way, so it’s a truly unique opportunity to gain advanced research skills. Another special feature of this astrophysics degree is a two-week field trip to Tenerife. There you’ll take part in an intensive space mission design project, and spend a week at a research-grade observatory learning to use high-spec telescopes. Study with us and you’ll join a lively community of like-minded astronomers. The student-led Astronomy Society meets weekly to observe the skies, as well as organising social events and astronomy-related trips. And the department organises regular research talks where you can hear about current astronomy projects and new discoveries. The year at the Harvard-Smithsonian Center for Astrophysics was an amazing experience. It was filled with research and was something I’d never experienced before. It enabled me to grow as a research scholar, but also personally. This degree combines our robust physics and astronomy training with an unrivalled opportunity to gain advanced-level research experience in the field of astrophysics. While astronomy encompasses space observation and data gathering, astrophysics focuses on modelling and interpreting space data to gain a deeper insight into astronomical phenomena. That’s exactly what you’ll do if you are selected for the year abroad at the Harvard-Smithsonian Center for Astrophysics. It’s an exceptional opportunity to get a flavour of research at PhD level. For example, you’ll have the chance to present a poster at a meeting of the American Astronomical Society – an international conference that attracts around 2,000 astronomers. Often our students’ work is published in scientific journals. Your year abroad will be challenging – you’ll be expected to adapt quickly to working at the level of the postgraduates in your research team. However, there’s plenty of support in place, both at Southampton and from Harvard staff, to help you make the transition and to provide any help you need throughout your study-abroad year. We’ll also support you with the practical and financial aspects of moving overseas. In your first three years you’ll use state-of-the-art equipment in our teaching laboratories, with guidance from expert technicians who are there to support your experimental work. You’ll also benefit from our recently refurbished Physics and Astronomy foyer, with a specialist library and dedicated study spaces. Our superb astronomy facilities couldn’t be closer to hand – there is an observatory on the roof of the Physics and Astronomy building, equipped with two high-spec telescopes and CCD detectors for astronomy imaging. During your year abroad you’ll have access to the Harvard-Smithsonian’s research facilities, including supercomputers and a huge archive of space data. Study with us and you’ll join one of the top five Russell Group departments for physics and astronomy research (REF 2014). Our research reputation is built on a track record of discovery and we remain on the frontline of new developments. For example, Southampton physicists were instrumental in the development of erbium doped amplifiers – an essential part of today’s internet infrastructure – and more recently our scientists were involved in detecting gravitational waves and light from the collision of two neutron stars for the first time. You’ll hear about the latest research findings, often before they are published or reported in the media, from lecturers who are directly involved in outstanding research. Our Astronomy Research Group is a hub for highly respected research in specialist areas including the evolution of compact objects and the space environment. Two of our astronomy staff are Royal Society Fellows, a prestigious award that demonstrates research of the highest calibre. Our top MPhys Physics with Astronomy students can switch to the flagship degree at the end of year two. The third year is then carefully coordinated to cover all the core physics and astronomy modules, freeing you up to spend the whole of year four on your research project. 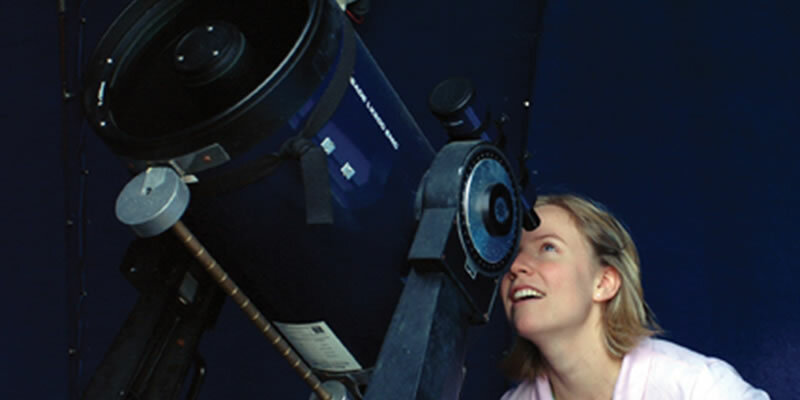 An introductory astronomy module in year one lays the foundation for specialised studies in later years, when you’ll gain a more in-depth understanding of topics including the make-up, dynamics and environment of galaxies, the space environment and space weather, and concepts of modern cosmology. Your understanding of astronomy will be underpinned by your wider physics studies. Year one modules cover energy and matter, electromagnetism, special relativity and the foundational theories of quantum physics. You’ll gain more in-depth knowledge as you progress, applying your learning in areas such as particle and atomic physics. You’ll also develop the mathematical skills to model real-world problems and analyse data, and the practical skills to work confidently in the lab and design your own experiments. All undergraduate applications for Physics and Astronomy should be made online through the Universities and Colleges Admissions Service (UCAS). Students interested in this degree should apply to F3FM MPhys Physics with Astronomy. If English is not your first language, you will be required to pass an approved English test. We normally ask for a score of IELTS 6.5 or TOEFL 580. We welcome applications from candidates offering qualifications other than A and AS levels (including BTEC, European Baccalaureate, International Baccalaureate, Irish Leaving Certificate and Scottish Highers). You will be expected to attain an equivalent standard to an A level applicant. We welcome applications from international students. Visit our international site for more information about our international student community, support and how to apply. 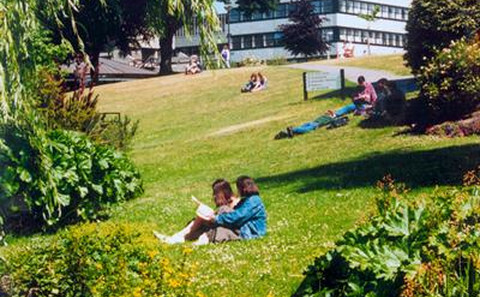 We welcome applications from mature students. If you will be over 21 at the start of your proposed degree programme, you are eligible for exemption from our normal entry requirements. 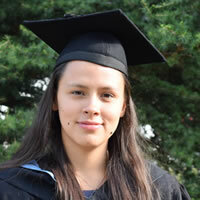 However, you will be required to provide evidence of having completed recent study (eg Access, Return to Study, Open University foundation courses) and of your capacity to pursue the course. By invitation only, to students with best grades on the MPhys with Astronomy programme who have achieved at least a first class grade in their second year, and completed the Tenerife Field Trip. Limited to maximum of 5 students. With a year of intensive research experience and a reference from a Harvard academic, you’ll graduate with an extremely impressive CV. If you’re keen to continue your studies at PhD level – whether in astrophysics or another discipline – this degree will open up possibilities all over the world. If you choose a career outside physics, your ability to analyse, understand and model situations in order to solve problems will be in high demand in a wide range of professions. You’ll be able to demonstrate transferable skills such as computation and coding, communication and project management. In addition, your astrophysics degree will indicate to employers that you are an independent thinker who is not afraid of an intellectual challenge. You may already know what sort of career you’d like to pursue, but if not, we’ll offer the support you need to help you decide. You can attend a programme of career-focused sessions in year two, designed specially for physics students and timetabled to fit in with your studies. They include application and interview workshops, as well as talks from visiting professionals. We can also help you to find a paid summer placement through the South East Physics Network scheme, giving you valuable real-world experience and the chance to make industry contacts. You’ll learn from academics who pay as much care and attention to their teaching as they do to their research. We’re keen to share our knowledge and enthusiasm for physics with you, and inspire the next generation of physicists. We combine traditional teaching and learning methods with tried-and-tested innovations to improve your learning experience. Use interactive technology to ask a question from your seat in the lecture hall and receive a response during the session. Or get a bit of extra help by watching a tutor explain a tricky physics problem via online video tutorials. The field trip component takes place over two consecutive weeks within the Easter break, at the premises of the University of La Laguna, Tenerife and at the Observatorio del Teide, Tenerife. While the field trip is heavily subsidised by the faculty, a student contribution to the costs is required; in academic year 2016-17, this is £450 per student. Flight costs, all local travel costs in Spain, and all hotel accommodation costs during the week in La Laguna, all costs of staying at the residencia at the observatory, as well as all food costs during week 2 at the observatory are included. The only unavoidable additional costs students will incur in Spain are food costs during the day in the first week. Any student who genuinely cannot afford to pay the student contribution for some reason should contact the course co-ordinator to discuss this privately. For 2016/17 onwards: The stay at Harvard will typically be for nine months. We arrange accommodation in Boston at below market rent; students live together in a large, modern, five-bedroom house close to the Center for Astrophysics. Tuition fees will be charged at 15% of the standard level. A £500 Southampton Opportunity scholarship will be awarded to contribute to the cost of the return flight. Physics and Astronomy is based in Building 46 on Highfield campus.